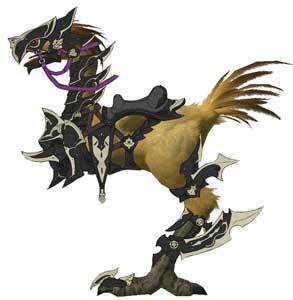 The Chocobos are a race of chicken-like birds that debuted in Final Fantasy (1988) on the NES and became a mainstay of the Final Fantasy series that appeared in all later games of the series in different forms and roles. 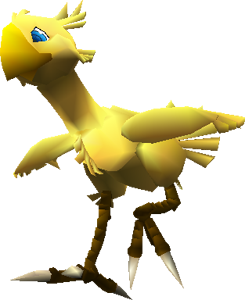 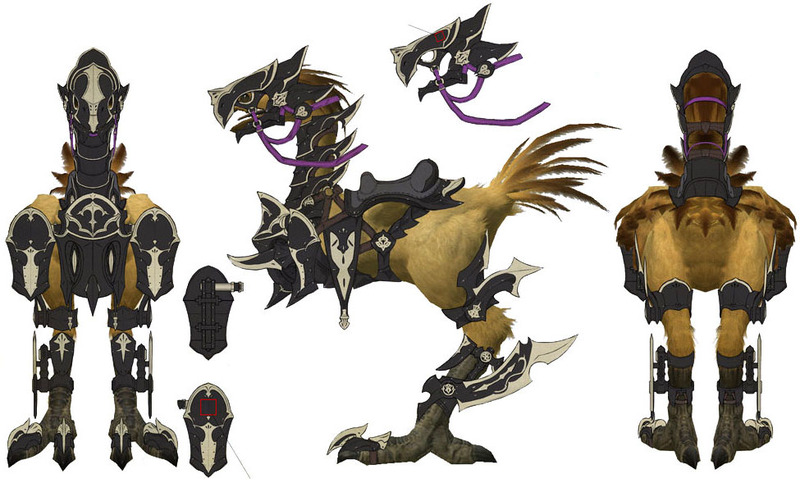 The Chocobo are mainly non-playable characters that can help the protagonists to move faster, sometimes riding on them also avoids random battle encounters. 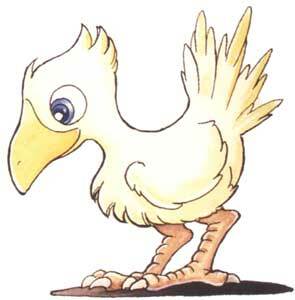 In a few cases there are individual Chocobo like Boko in Final Fantasy V (1992). Sometimes they are also enemies like in Final Fantasy Tactics (1997) and especially in the older games they can be summoned to help the protagonists to flee from a battle or it attacks their enemies. 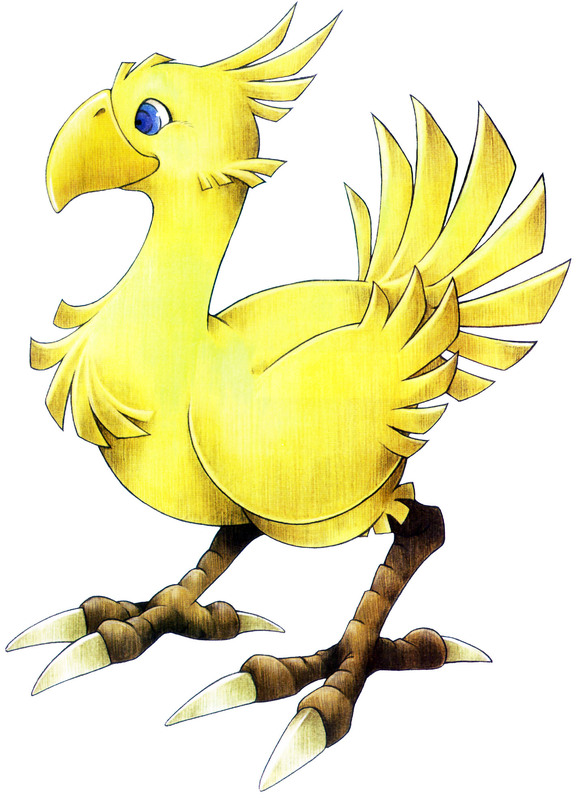 The Chocobo also got their own games like Chocobo Racing (1999) or Chocobo’s Mysterious Dungeon (1997), they also appeared in many other games like Legend of Mana, Kingdom Hearts and more. 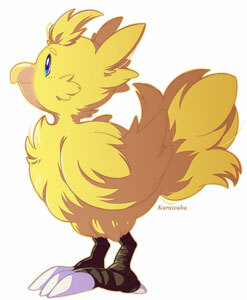 The Japan only fighting game Tobal No. 2 (1997), featured an unlockable Chocobo, including his own stage and theme from the Final Fantasy games. 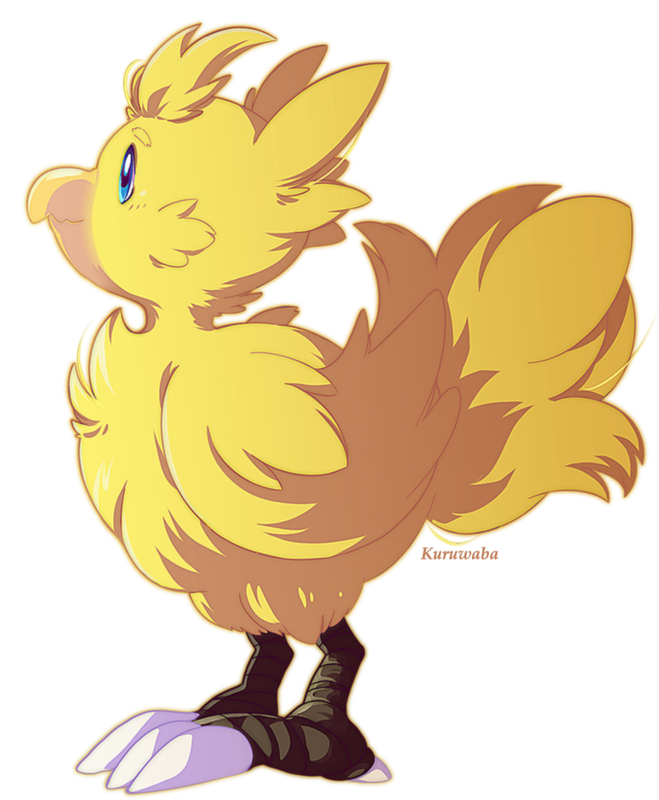 The first Chocobo drawn for our VG Character Database was submitted by Quartette who claimed the character very shortly after we announced the idea to draw game characters for this part of Game-Art-HQ by the community!